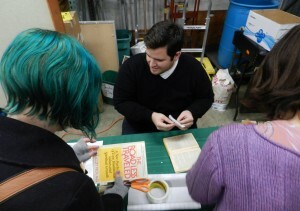 Waste Watcher Kyle Knight facilitates a book repair demo at the Feb. Repair Fair. Click to view larger. 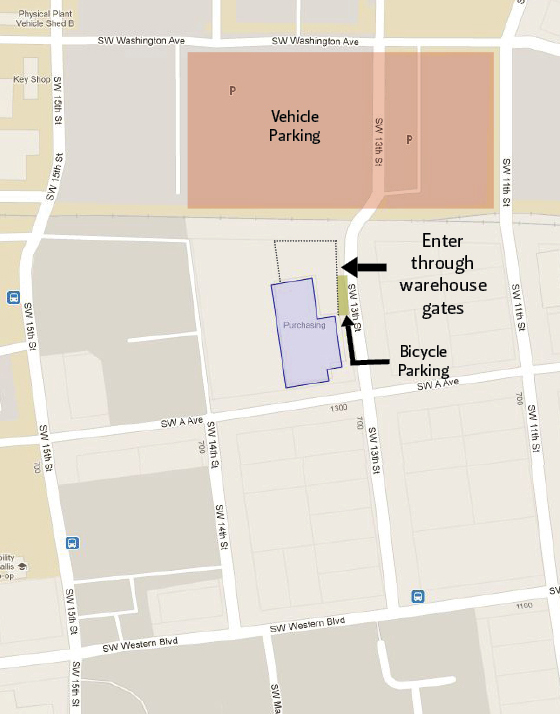 Map to Repair FairDirections: We are located at 644 SW 13th St. in Corvallis; see a map of the entrance and parking here; view our building on Google Maps here. Please enter through the warehouse gate on 13th Street, between A Ave. and the railroad tracks. City buses 3, 6 and 8 stop within 2-4 blocks of our building while routes 1, 5 and 7 stop 6 blocks away at 11th & Monroe (view full details on the Corvallis Transit System website or use Google Transit to find the best option for you). Event on FacebookJoin this event on Facebook. Directions: We are located at 644 SW 13th St. in Corvallis; see a map of the entrance and parking here; view our building on Google Maps here. 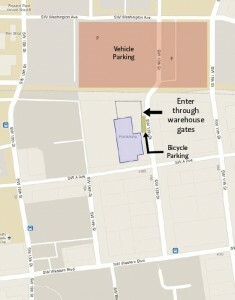 Please enter through the warehouse gate on 13th Street, between A Ave. and the railroad tracks. City buses 3, 6 and 8 stop within 2-4 blocks of our building while routes1, 5 and 7 stop 6 blocks away at 11th & Monroe (view full details on the Corvallis Transit System website or use Google Transit to find the best option for you).